The last three months have yielded the best fishing we’ve seen on the Clearwater River in a few decades. 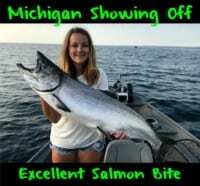 Sure, fishing isn’t as hot as it was a few weeks ago when we were catching 20-30 steelhead a day, but who could complain about the 15-25 we’re still catching per boat each trip? It’s still awesome and not going to fizzle anytime soon. In my world, here in Idaho, we categorize three stages of our famed steelhead run: an A, B and C Run. Right now, we are catching mostly B Run fish, but we are expecting our C Run fish any day now. Basically, the C Run is another letter I invented. Realistically, they are actually late run B fish, but they come so much later than the rest of the B’s that they deserve their own group. These C’s have been trapped downriver where the fish ladders at Lower Granite Dam have been closed, thus blocking the migration. When those ladders are open those fish blast to this area. They’ve been closed for two months for cleaning and just opened the ladders in the last week, meaning those fish should be here any day. Some are probably here now. When they open those gates it’s going to escalate our bite again. It might get back up to the 30 fish a day range. This December, January and February has been the best ever in my 24-years of guiding on the Clearwater. Where else can you catch this many big fish, just about everyday and while last year was a down year for big fish, our quality has risen again. For the last few years our big fish were absent, but this year there’s more big fish. Last year the fish we were catching were 5 to 10 pounds. This year, the average has risen to 12 and we’ve seen a ton of 10-15 pound fish. Everybody is happy. 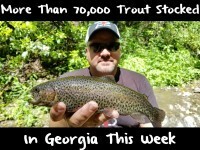 Oddly enough, with as many fish are here bookings have slowed in late February. What’s happened is most of our clients have fished with us one or two times this season (keep in mind it started in October). However, there’s a ton of fish around, we have better water flows and abnormally warm temperatures which, makes it comfortable out here. March is a great month to target Clearwater steelhead. Most of the action is focused around Orofino. We’ve been catching them between Lenore and Orofino, which stretches roughly 15 miles. From the bank, the closer you get to the hatchery the more crowded it is, but I’ve been staying out of that mess and fishing below the crowds. Some days it feels like we have the entire river to ourselves. This time of year these steelhead are grabbing cured eggs and single size 10 Corky’s. For the most part it’s all a Pink and Orange BorX O Fire show with a yarn and egg combo. I’m curing my eggs with BorX O Fire, adding sugar and placing these eggs on a double size 4 Gamakatsu octopus hook. Lately, as in this year, I’ve always been fishing them with yarn. If you’re egg comes off you still have the yarn and they will bite that. I’m using Suffix Superior 12-pound monofilament line with a 10-pound clear leader. 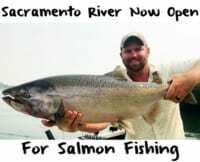 Editor’s Note: For more information on guiding Clearwater River steelhead fishing trips with guide Toby Wyatt of Reel Time Fishing please visit http://reeltimefishing.com.